In this study, the major maize ear rot pathogens were differentiated from one another, on growth media, with near-infrared (NIR) hyperspectral imaging. 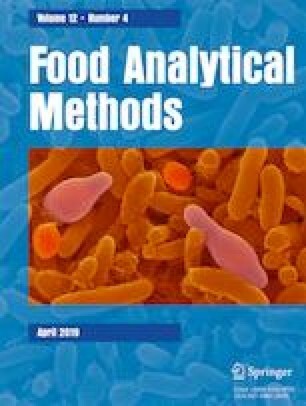 Fungal isolates of four pathogens commonly associated with maize grain (Fusarium verticillioides, F. graminearum s.s., F. boothii and Stenocarpella maydis) were plated on potato dextrose agar, in triplicate, and incubated at 25°C for 5 days. Images were collected with a SisuChema short-wave infrared (SWIR) pushbroom hyperspectral imaging system ranging from 1000 to 2500 nm. Pixel and object wise classification algorithms were compared to determine the best approach. These were evaluated with principal component analysis and partial least squares discriminant analysis. The pathogens were distinguished using three-way classification models that were validated with independent images. The object wise approach proved to be more effective in distinguishing ear rot pathogens with a higher average overall classification accuracy (93.75%). The object wise models achieved two 100% classification accuracies from the four pathogen models, while none of the pixel wise classification models were error free. The specificity and sensitivity further highlighted the superiority of the object wise approach. The high accuracy of object wise classification (> 86%) can be attributed to the representation of the mean spectra per object. NIR hyperspectral imaging can thus accurately distinguish between the major maize ear rot pathogens, with object wise classification proving to be the optimal approach. The authors wish to thank Prof Alvaro Viljoen and Dr. Ilze Vermaak, Tshwane University of Technology, Pretoria for use of the NIR hyperspectral imaging system. This work is based on the research supported in part by the National Research Foundation of South Africa (grant numbers 94031 and 95343). Paul J. Williams declares that he has no conflict of interest. Cenette Bezuidenhout declares that she has no conflict of interest. Lindy J. Rose declares that she has no conflict of interest.